You will find this information from attachment. 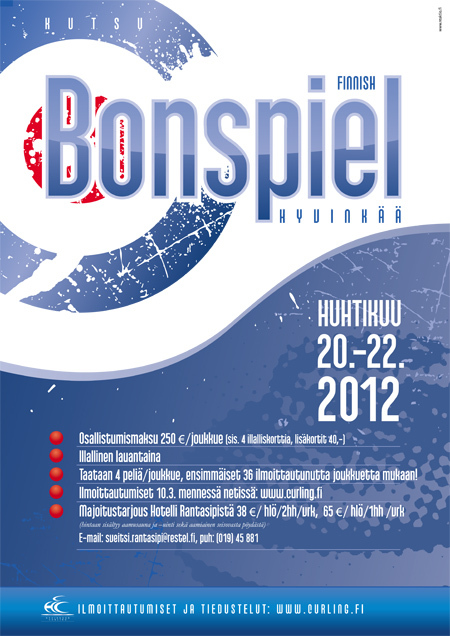 Finnish Bonspiel is the oldest and most traditional bonspiel in Finland. Join us and enjoy a weekend in a very relaxed atmosphere!